Get acquainted with to the modern chic essentials with the casual dresses, that help you get the LBD sass without going through all the trouble. Keep it simple and slay it every day with these! The right Dress, high heels and a stroke of your favourite lipstick and we’re ready for the world, or so was the notion! But is that really still true? With all the multitasking and the skill-set expanding, deadlines and all that work. When you do get time on the weekends, perhaps most of us want to kick back and relax with a book or binge-watching a series and if we do venture out we prefer building experiences with travel than going bar-hopping. So what we need more than the Little Black Dress, the bodycon, the glittering pieces, and the flowing summer dresses, (not saying we don’t need these, but hello! priorities) is casuals! Because, yes while we love to dress up and embrace the glamour and grace, we also would love the option to be in a dress, without all that jazz! And guess who came to the rescue? A 90’s trend that made a comeback much to our relief. Do you remember how we often wear those really long and loose t-shirts at home and pass it off as a dress, because it was so comfy? Well, guess what - that’s just what the T-shirt Dress is, only with a much better fit, so that even while you are sinfully comfortable, you still look elegant. It is made of the same material as that of a t-shirt which is 100% cotton and comes in both printed and plain varieties, it has a flattering cut and a round neck. It soon popped up in celebrity wardrobes, and it wasn’t long before everyone was wearing this and why not! 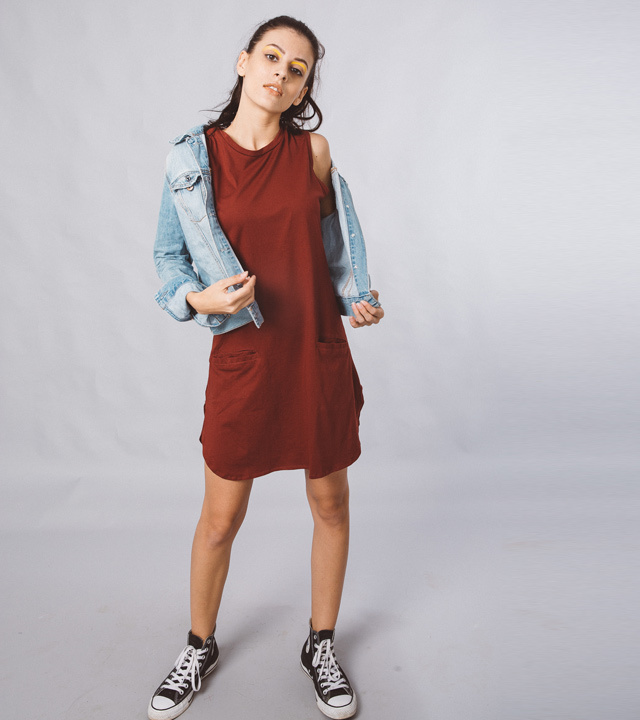 With the constant innovation and experimentation that forms the essence of fashion, the t-shirt dress since its comeback has gone through many variations. For eg, there is the basic T-Shirt Dress, then there is the Henley T-shirt Dress this edit is much more feminine because it comes with a flair cut, and hence looks more dressy than the basic version. 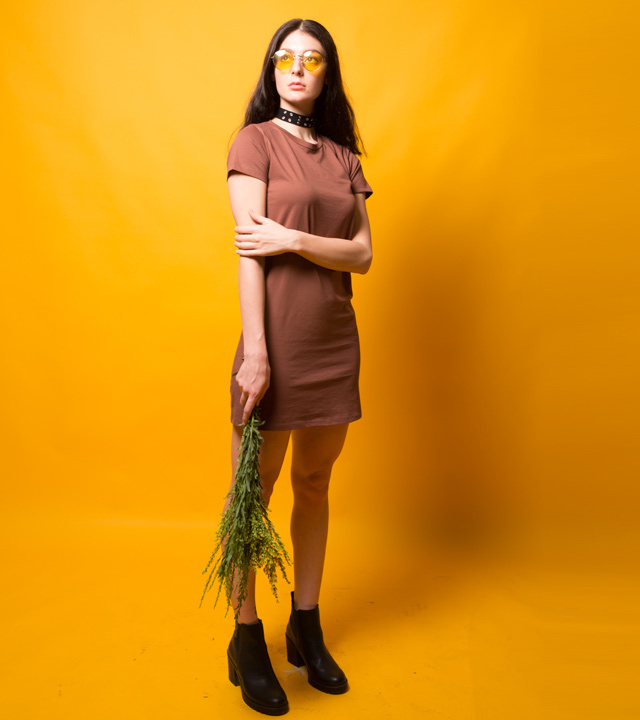 Then there is the 3/4th Sleeves T-shirt Dress (because everything's better with 3/4th sleeves) these are more suited for your not so casual occasions. And finally, one of our very own creation, the Cold Shoulder T-shirt Dress, which adds that zing of sporty vibe to your attire. The best thing about these Dresses is their desk-to date aspect. Confused? Let us oblige. These Dresses can basically be used for pretty much all of your adventures. From chilling with your friends, to your lunch date. From working (we mean, the the new age work culture - startups, casual fridays, shared spaces, cafes or for your casual fridays) to heading out to your amazing Date nights. All you have to do is add a few accessories and let your hair down or fashion it up in a bun and that’s all you need to transform yourself. And honestly with the fast paced lives, that we live, we are more than happy to ditch the hassle of changing as we go from one daily adventure to the other. You might take a little time to get a hang of the styling, but honestly, once you have yours you’ll realize, it is minimal and chic, so you don’t need to do much. From sneakers to bellies, a belt to a bag and bed-head to bun everything works. You can also layer it up, with either a Crop Top or a long shrug and if you’re braced with chilly weather just add the fabulous sister trend Bomber Jackets and you’re good to go! So while the fancy and fabulous high street fashion has its allure, for those days wherein you’re simply trying to balance it all and be the strong independent women, go for this no-brainer because - Casual is the way to go! So what’re you waiting for? Get your hands on this effortless everyday staple now. And stay tuned we’ll bring you an exhaustive t-shirt dress stylesheet soon!